Do you like sweets? I do! I was in for a treat when a very good friend of mine brought me to Chez Karine, which translates to House of Karine in English. 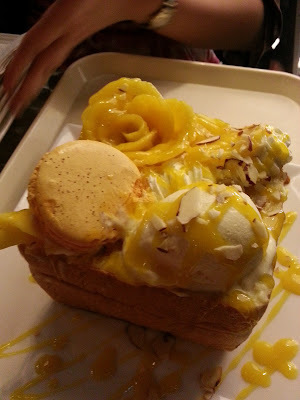 It is owned by Chef Karen, who studied in France and brought French desserts to the Philippines. Located at Serendra, the location of the pastry shop is strategic. It looks like a hole in the wall but there's more to it than meets the eye. Once you enter the shop, you'd feel like you're in a fantasy candy land. 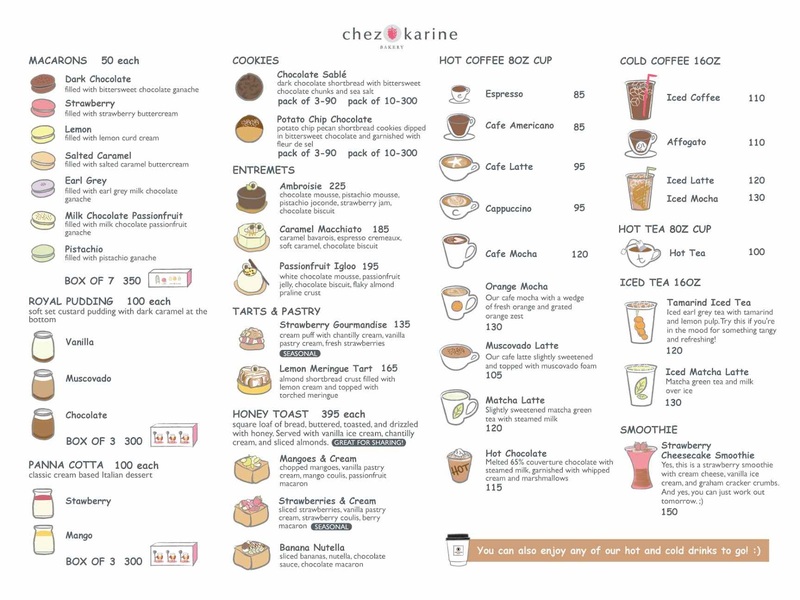 Chez Karine offers different kinds of pastries, which ranges from French macarons to royal pudding to cookies and tarts to cakes to panna cottas to the oh so yummy honey toast! Chez Karine offers artisanal, seasonal pastries made fresh, from scratch, daily. We also offer high quality, specialty coffee and tea. We are a French patisserie inspired by Asian and American flavors. Our goal is to heighten your appreciation for fine pastry by providing delicious, competitively priced cakes and pastries using fresh, natural ingredients. We aim to become your oven away from home and your favorite destination for all your sweet cravings. True enough, their pastries are so good you'll forget your mother's name. A little pricey I must say. But worth it to those who have a sweet tooth. By the way, they also serve drinks such as hot & cold coffee, hot tea, smoothies, and iced tea. Below is a picture of its best-seller, the honey toast. It's good for sharing and it's very delicious. But hey, don't just take my word for it! 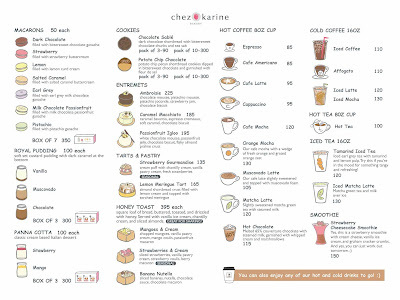 Visit Chez Karine at Serendra after office hours or on weekends! You'll never regret it! I promise. Note: Chez Karine did not pay me for this review. rare to peer a nice weblog like this one these days.